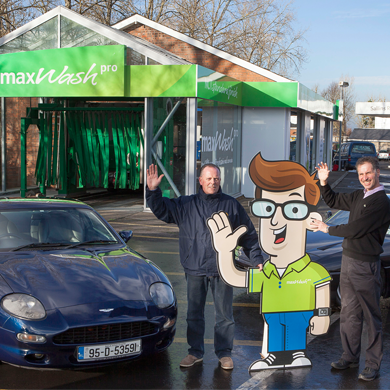 We recently launched a new maxWash pro conveyor wash - the ultimate professional carwash service at Maxol Service Station Sallins Road, Naas. Why not try it out for yourself and take your car to Sallins Road, where our team will pre wash your car then guide you onto the conveyor while you sit back , relax and have your car come out gleaming. This new maxWash is indoors and at full speed finishes a car every 40 seconds meaning less time, more shine!